When you are looking out for cool options to fashion this summer, you can surely think about the seersucker suits for men that are in the market these days. You do not have to think about the budget of these special summer suits and you will be amazed to find quite a good number of these at a good price that will fit your budget at MensUSA. Apart from the normal seersucker suit, you can find a good variety in terms of style, color and big and tall suits for men here. Anything that you plan to wear for summer season has to work out well on your skin especially. It is good to take necessary care in selecting the right kind of attire for yourself during summer season and save yourself without ending up with rashes and heat boils. There are special considerations to be taken while you plan for a business trip or a casual trip for a tropical state. A seer sucker is a first grade full cotton fabric that will ensure full comfort while you wear them during humid weather conditions. Apart from the fabric's natural capacity to fight heat and absorb sweat, the unique texture takes care of keeping you cool. 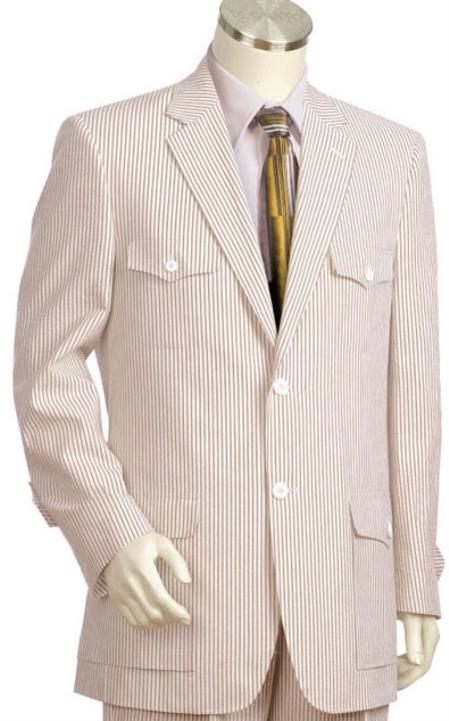 You can easily feel more comfortable in a seersucker suit than a cotton suit because of the fabric's texture. The special wavy or wrinkled texture of the fabric is got from the special method of spinning. 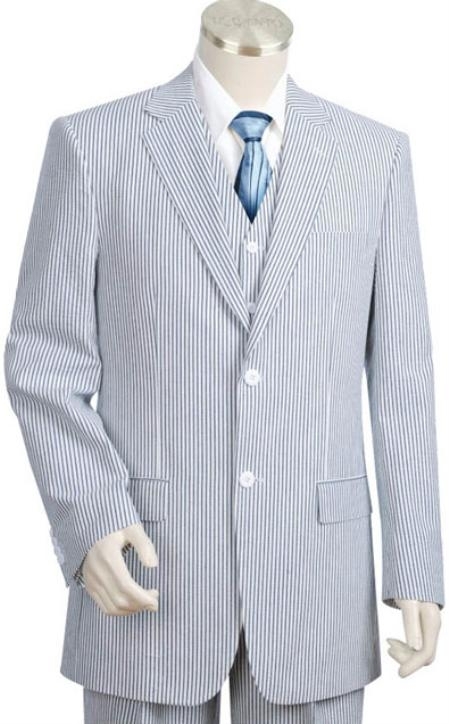 As we told in the beginning you don't have to worry about spending extra on these suits as you will find good suits for moderate price and of course now a days you are able to find many popular designers making suit out of these fabric that cost an arm and a leg for a common man with an average scale of living.